Christopher Columbus Kraft, Jr. is a Class of 1944 Virginia Tech graduate born. He was born on February 28, 1924 in the small town of Phoebus, Virginia, which later merged into Hampton, Virginia. Growing up, Chris knew everyone in his town, and they knew him, which greatly shaped Chris as a person. Despite growing up in the Depression era, Kraft enjoyed his childhood. Nevertheless, he is not a stranger to hardship. One event that drastically affected his future was a fall into a fire at age three that badly burnt his right hand. This burn would later keep Kraft from entering the service during WWII, making him one of the few students at Virginia Tech able to continue their education despite wartime demands. Kraft shares that his mother, “the greatest woman he’s ever known”, was the person who made his education possible and sent him to Virginia Tech. Though he attended Virginia Tech during a tumultuous time, Chris has very fond memories of his time as a student. His camaraderie with fellow students, his relationships with his professors, and going to events such as the Ring Dance are all important and special memories for Chris. His drive eventually led to his election as President of the Corps of Cadets and his becoming what he calls the “BMOC:” the Big Man on Campus. Though he was at Virginia Tech for only a couple of years, Kraft believes it was his time on campus that prepared him for his future career and gave him leadership training. By age 20, Kraft was a Tech graduate and a man with a job at the National Advisory Committee for Aeronautics (NACA). Kraft went on from an early position as a flight test engineer to becoming flight director, and eventually developing the US version of a mission control center. In the late 1950’s, Chuck Matthews, a friend of Chris who also worked for NACA, came to him and asked if he would like to join a team that was at the time called the space task group, which operated in Houston, Texas. “I think, in terms of leadership. I said that in my book, too. 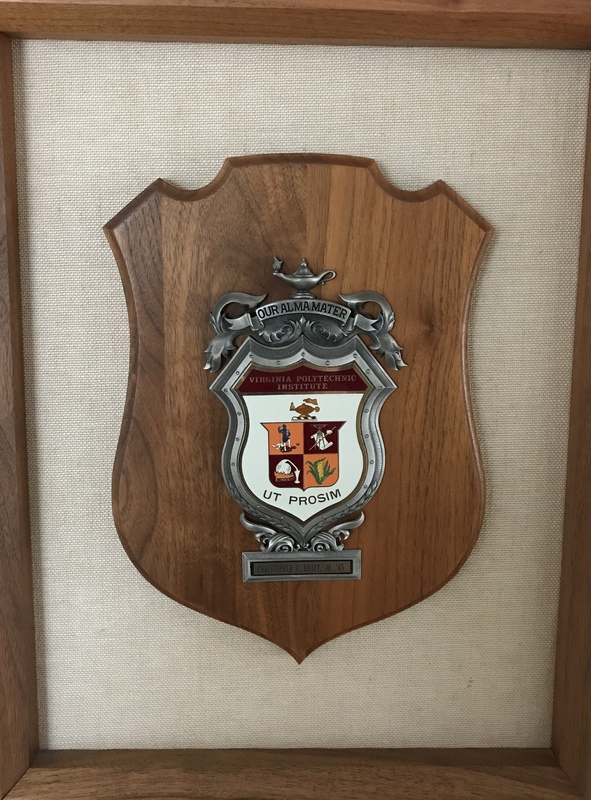 I don’t remember anyplace in my career where I got taught leadership as much as I got taught self-leadership by having to be an officer in the Corps.” Christopher C. Kraft Jr. 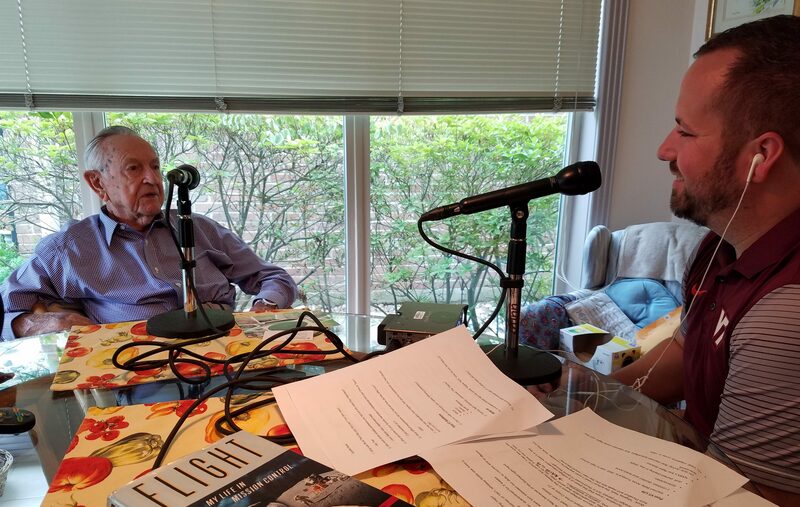 While working for the space program, Kraft helped develop the spacecraft, train flight controllers, and focused on the details of the plan, especially regarding safety and the astronauts. Chris remembers there being countless questions to answer in order to ensure safety and success, and feeling the responsibility of carefully answering those questions. Due to his involvement in the space program, Kraft now has more awards than he can count. Medals, magazine covers, and never-ending praise are just by-products of his revolutionary roles at NACA where he changed the trajectory of man’s future in space. 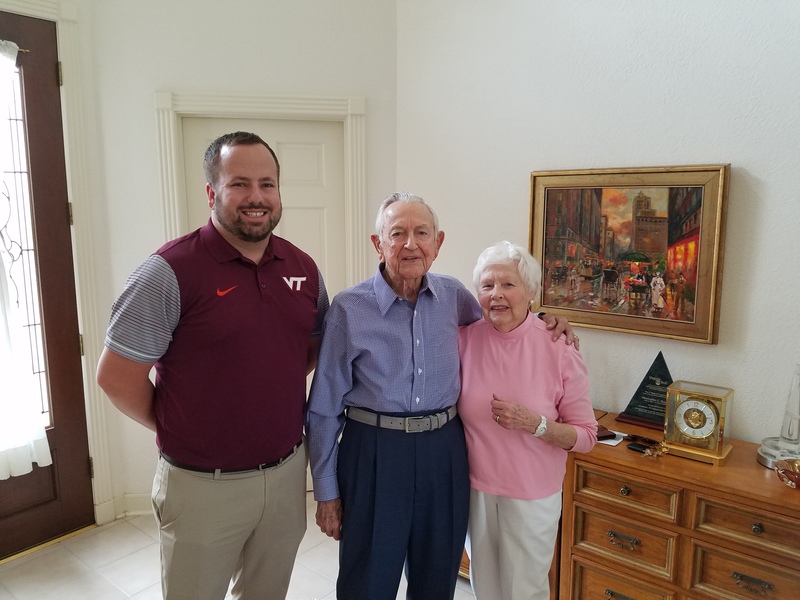 Looking back on his life and the chain of events that led him to where he is today, Kraft recalls humble beginnings and a fervency for leadership that was developed during his time as an undergraduate at Virginia Tech. He states that Virginia Tech “is where I became a human being and a man,” giving him the foundation for his future success. “Virginia Tech gave me the opportunity to be an educated person, and they did a fine job of it in many ways. They continue to expand on that capability, and I think they are one of the best universities in the country as a result of that. 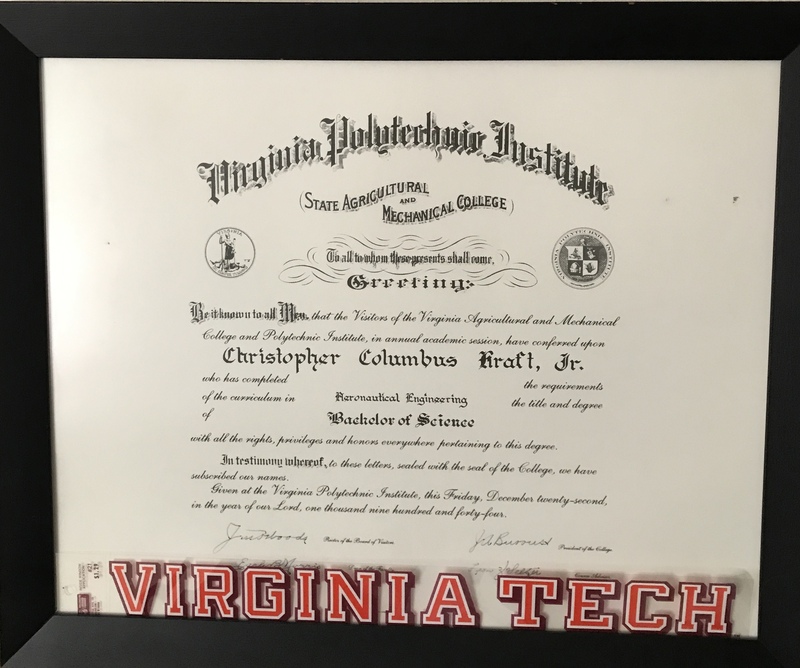 I would have not gone anywhere without Virginia Tech.” Christopher C. Kraft Jr. Throughout his life and career working for NASA, Chris demonstrated Hokie excellence and spirit, and remains a proud Virginia Tech alum today. Experience Chris Kraft’s full interview here!